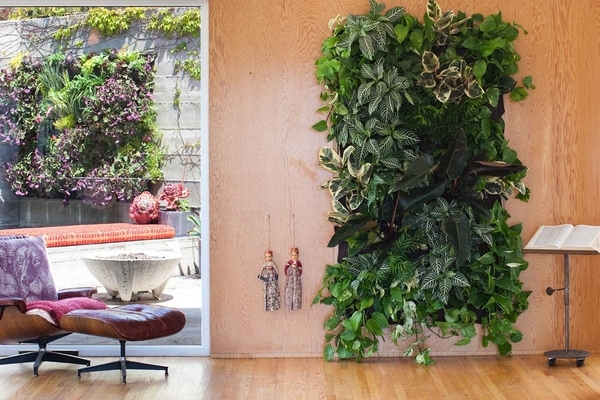 Aren’t these vertical gardens just amazing? 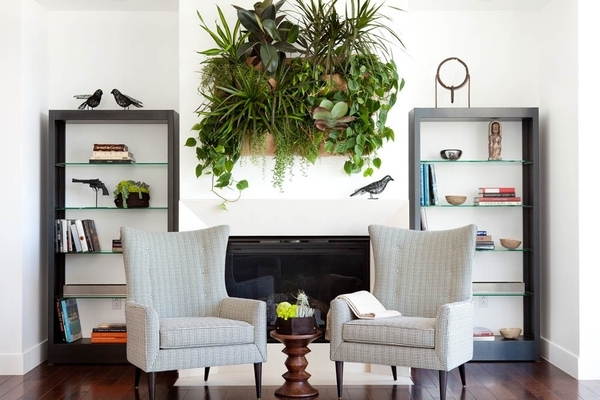 I’ve always loved creative and new ways to display plants. 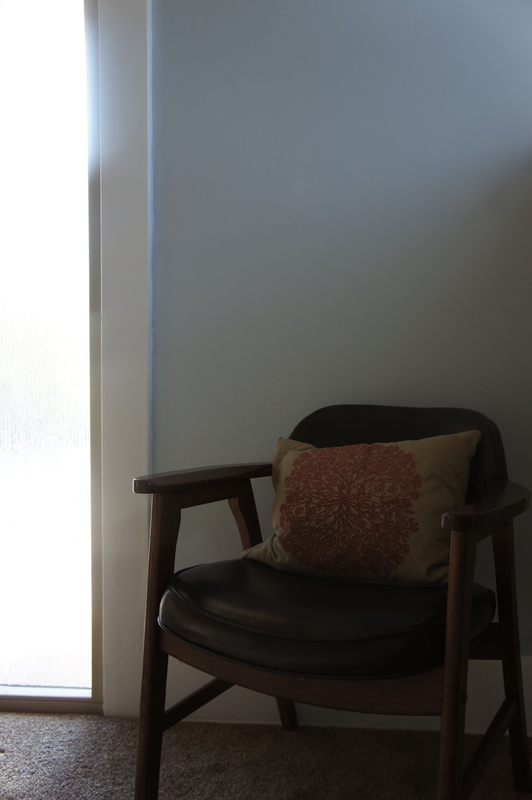 Anyway, on my search to find decor for the new house I visited the website for one of my favorite stores in North Park, San Diego… Pigment and came across Woolly Pockets! Absolutely gorgeous right? I’m in LOVE with these! The pockets are made from 100% recycled materials and you can even have an automatic watering system! 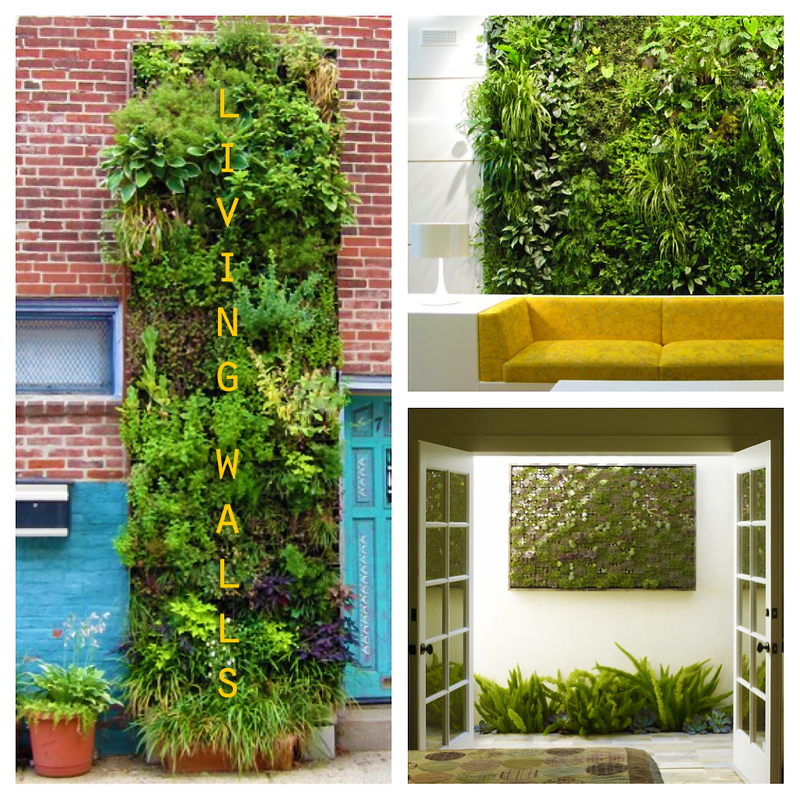 I think we’ll definitely have a living wall in our living room, how appropriate! First update from the new house! Hello there friends! Let me first apologize for my lack of posts these last couple of weeks. If you had any idea of what I was up to lately, you’d understand completely! Anyway, so it’s official… we’ve MOVED IN! Hooray! It’s been about a week since we’ve moved in and it really is coming together rather nicely. Chris and I are very proud of the progress we’ve made! So far we’ve managed to paint the living room/dining room. 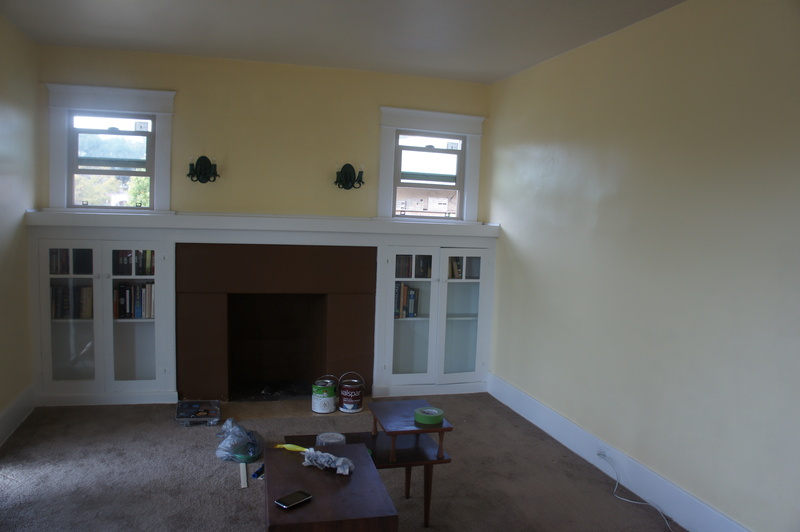 It was a pastel yellow, which is fine, but not really the color I would choose for such a large space. I decided to go with a light blue-ish grey… it’s from Olympic Paints called “Going Grey” (haha) and it looks fantastic! It has a much more distinguished look and it really lets the color of the wood pop! It took me a little less than 20 hours to complete (thanks to the help of Chris!) but really, I did do most of the work since it was me that was so anti-yellow. The longest part was applying the painter’s tape and protecting everything. Totally worth it though… but I won’t be painting again anytime soon, I’ll tell you that much. Now that painting is out of the way we were able to move all of the furniture back into the living room and start hanging up pictures! We don’t even have all of our artwork up yet and it’s already making the house look like more of a home… it’s so exciting! 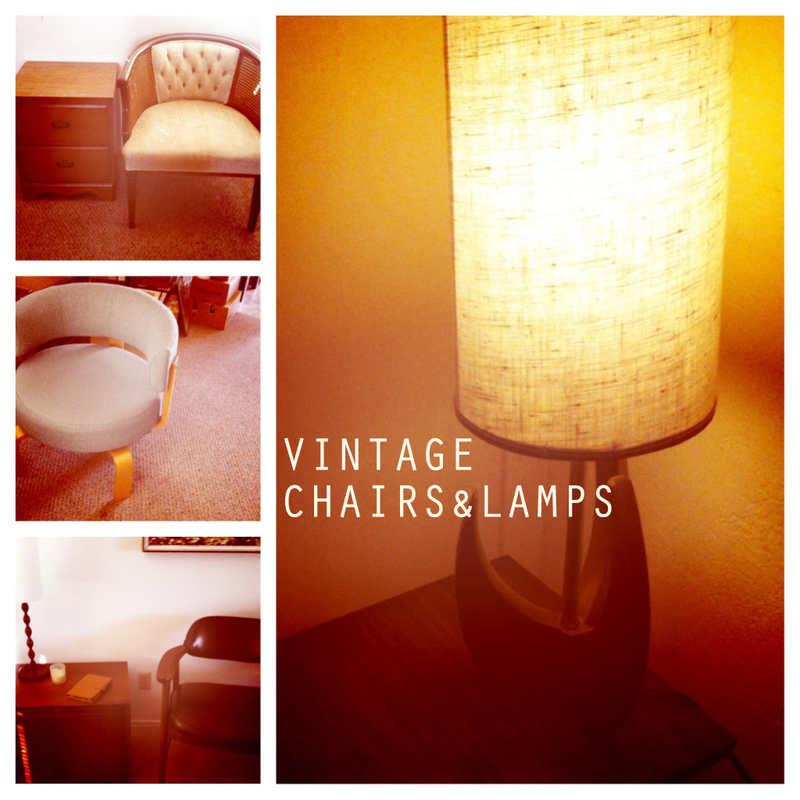 We’re both so very satisfied of the furniture we’ve managed to find and it’s so fun to decorate together. 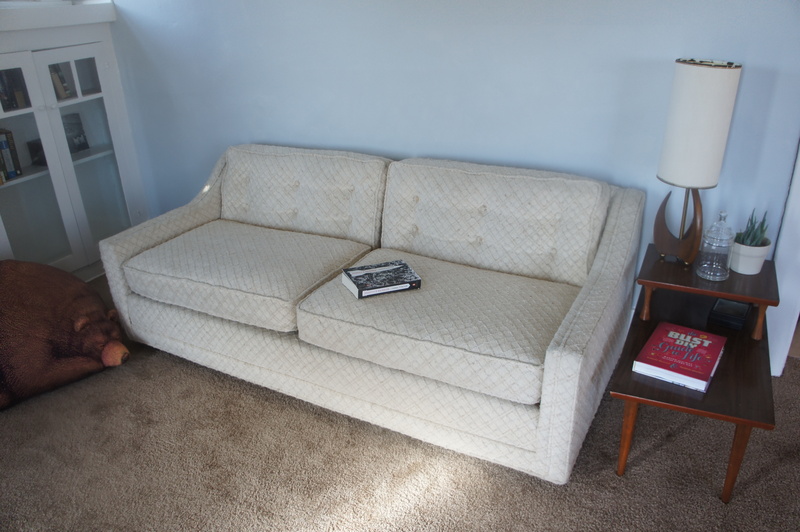 Chris found this adorable couch on Craigslist and the dining table, this I’ve had my eye on for a couple of weeks at the consignment place. Love them! That’s my last couple of weeks in a nutshell. 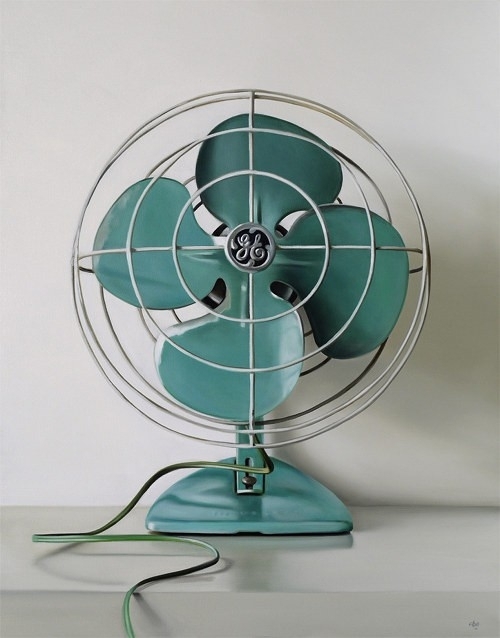 I saw this gorgeous vintage GE fan on Pinterest the other day (via Swell and Stylish) and soon after I fell madly in love with it when I saw the same exact fan in person at this great Mid-Century Furniture Store Atomic Bazaar. I quickly checked the price tag and was smacked back into reality.. WOW it was expensive! Oh well, may the hunt begin! 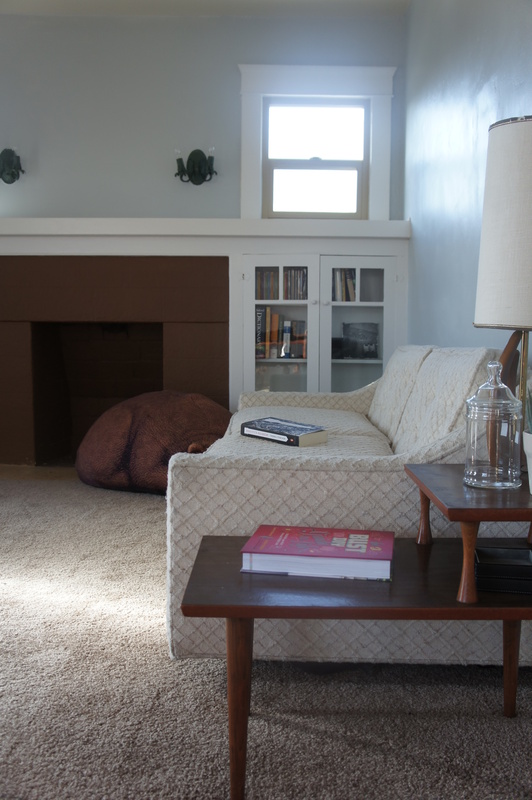 -We were able to get rid of our horrible peeling couches thanks to Craigslist! -It was 72 degrees and sunny. -I woke up to the alarm thinking it was Monday, but it was actually Sunday. Yes! Natural materials are so beautiful! 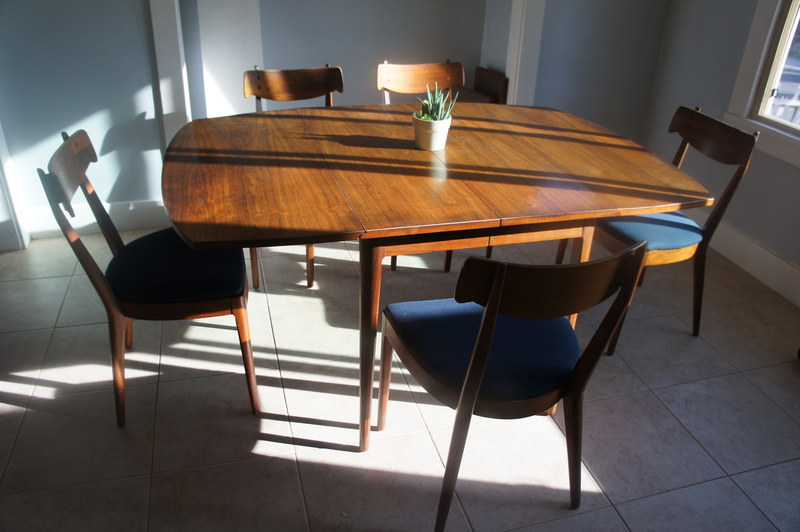 Just look at these gorgeous wooden pieces and the floors! Love it all! 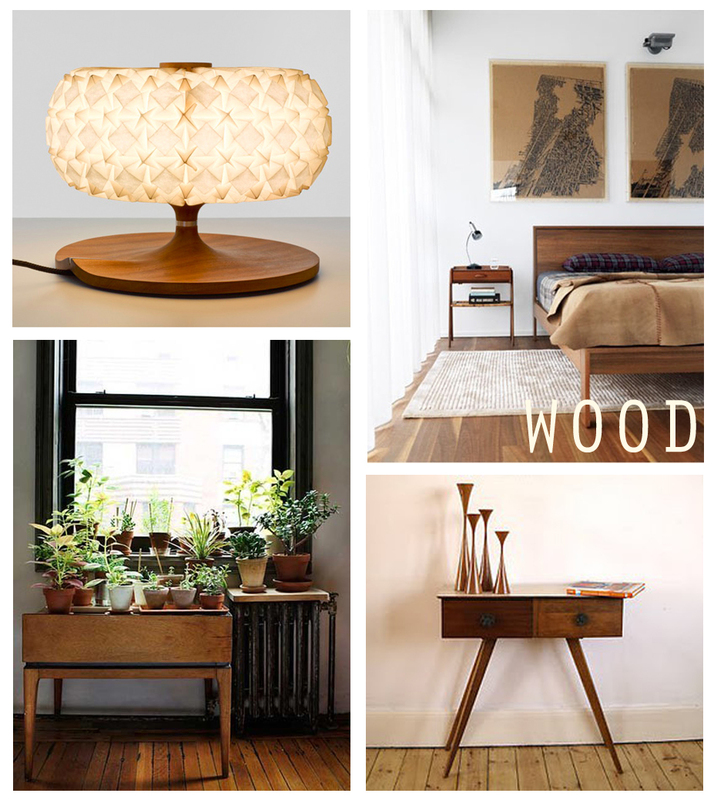 I will definitely have to find some great wooden accent pieces like these for the house.